Whoever can predict that a disaster is about to strike? No one. Rare is the occasion we get a heads up. Even with some lead time, multiple things can go wrong because every incident is unique, out of anyone’s control, and unfolds in unforeseen ways. This is where Business Continuity Planning comes into play. It aims to give a company its best shot at successfully seeing through a disaster, and calls for an up-to-date and tested plan that a reliable personnel can capably create and carry out. An absence of a plan will not only result in a long period of recovery from an unfortunate event, as the worst thing that could happen is your company going out of business permanently. That said, preparation is king. 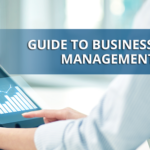 What is Business Continuity (BC)? 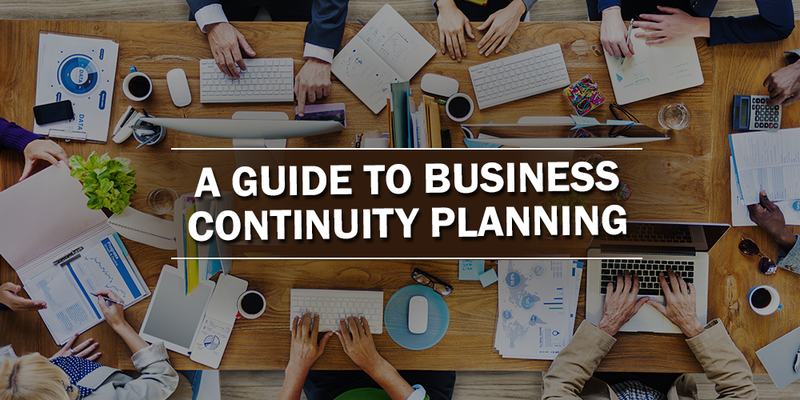 Before determining a Business Continuity Plan, one has to define what Business Continuity means. Business Continuity (BC) generally refers to maintaining business functions and resuming them in the face of a major disruption such as fire, flood, epidemic illness, or a malicious attack on the Internet. 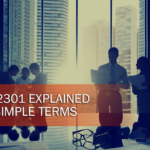 It delineates procedures and instructions a company must follow in the event of a disaster, and covers business processes, assets, human resources, business partners, etc. However, Business Continuity is not the same as a Disaster Recovery Plan (DR), as the latter focuses on restoring IT infrastructure and operations post-crisis. While Business Continuity covers the entire continuity of an organization, the Disaster Recovery Plan is just part and parcel of it. There are critical services and products that must be delivered to ensure survival, avoid causing injury, and meet legal and other obligations of an organization. A good Business Continuity Planning is a proactive planning process that ensures critical services or products are delivered during a disruption. Plans, measures, and arrangements to guarantee a continuous delivery of critical services and products, which permits the organization to recover its facility, data, and assets. Identification of necessary resources to support business continuity including personnel, information, equipment, financial allocations, legal counsel, infrastructure protection, and accommodations. 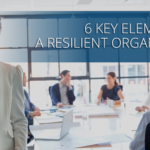 Business Continuity Planning should enhance an organization’s image with stakeholders—employees, shareholders, and customers by showing a proactive attitude. It also includes overall improvement in the organizational efficiency by identifying the relationship of assets and human and financial resources to critical services and deliverables. Let’s face it. Every organization is at risk of potential disasters such as natural disasters (floods, fire, and earthquakes), sabotage, accidents, power and energy disruptions, communication and transportation failure, and cyber attacks. Coming up and sustaining a Business Continuity Plan secures information needed by an organization in dealing with said emergencies. Whether you’re a small company or a huge enterprise, a Business Continuity Plan aims to retain your organization’s competence. It is crucial to keep current customers while increasing customer base—and there’s just no better test of your capability to do so than right after an adverse event. You can rely on IT to restore or implement disaster solutions available, but the rest of your business functions depend on people and processes. Being able to handle any incident effectively can have a positive effect on your company’s reputation and market value, and can increase customer confidence. If your company doesn’t have a Business Continuity Plan in place, the best way to begin is by assessing your business processes—pointing out which areas are vulnerable and the potential losses if those areas cease to function and fail for a day, weeks, months, or a year. It is recommended that planners complete a series of assessments that will help maintain a business’ critical areas. 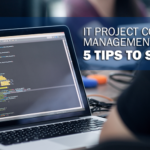 These steps include identifying which threats can have the most impact on your business, categorizing the most important areas of your business operation, assessing the impact that a disaster can have on your company and devising a plan to prevent damage, reduce damage potentials and restore operations. After this, come up with a plan. While there are templates available online, you can also find an actual plan published by an organization similar to yours and modify it as needed. Six general steps involved in creating a business continuity plan. A checklist is a common and effective Business Continuity Planning tool comprised of supplies and equipment, the location of data backups and backup sites, where the plan is available and who should have it, contact information for emergency responders, key personnel, and backup site providers. Keep in mind that the Disaster Recovery Plan is part of the Business Continuity Plan. So, check with your IT department to ensure it has or is actively developing a DR plan. In creating your plan, include key personnel organizations who have gone through a disaster successfully by interviewing them. Their insights could prove incredibly valuable in helping you to craft a solid business continuity plan. Staff involvement, for one thing, is an important part of ensuring the effectiveness of a Business Continuity Plan. In the face of a disaster, it is the staff that will serve as frontrunners of your business, ensuring that the company and its customers are protected. Therefore, your small business staff should be knowledgeable about every area of the recovery plan. Trainings, meetings, orientations, and walkthroughs will provide your team the information needed to implement the plan—without hesitation, when and if a disaster hits. Every Business Continuity Plan must be supported from top to bottom. Senior management must be greatly represented when creating and updating the plan—no one else can delegate responsibility to subordinates. Dedicating time for adequate reviewing and testing will keep the plan effective and viable. Management is key to promoting awareness. Getting all the involvement is essential, too. A personnel with a business continuity management certification can kick off training and emphasize a plan’s significance. This should have a greater impact on employees—granting a plan more urgency and legitimacy.